Copy the recording sheet for each student. Give each student 20 pieces of candy corn. 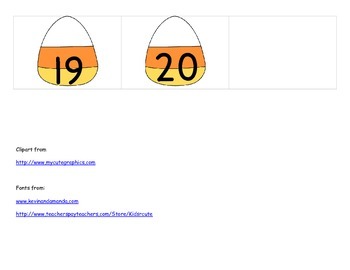 Students pull a candy corn card from a bucket and read the numeral. Then, students color in the numeral on the candy corn number line. 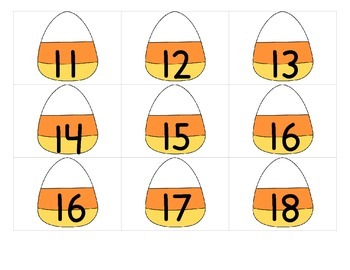 Next, students will use their real candy corn candies to show the quantity on the double ten frame. 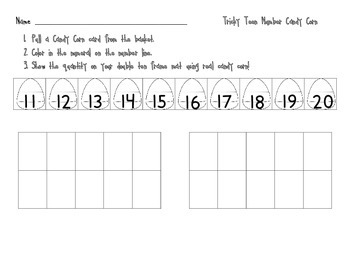 Student will repeat until all numbers are colored in on the number line or time is up.